Remember that GOSH Cosmetics Nordic Magic collection I covered late last year? I’m still reaching for their awesome highlighter wheel even though I only ever use the lightest colour. I know the whole thing is kind of wasted on me, but I just can’t seem to let it go ‘cos it’s so flattering and has killer good staying power. 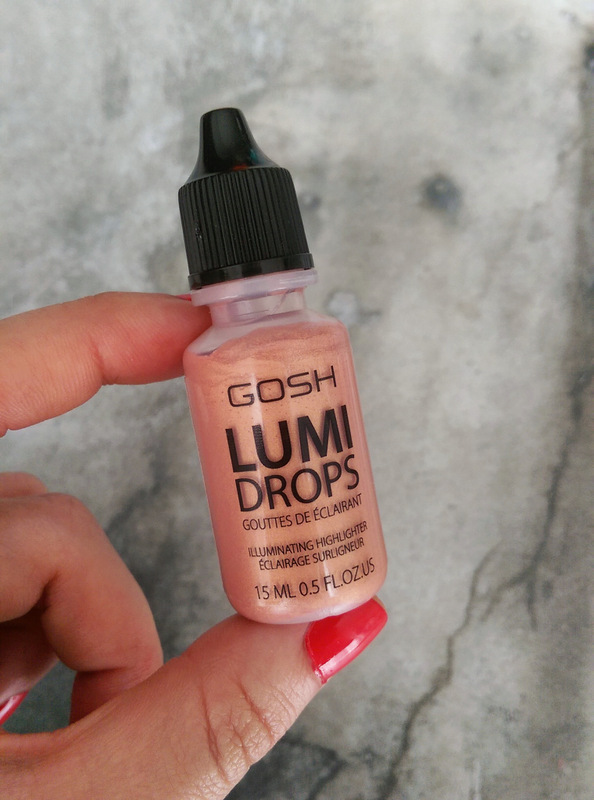 Available in several shades, Lumi Drops is a liquid highlighter you can wear it all by itself. However, where it really shines (ha!) is in the making friends department. I’ve had Rose Gold in my clutches for a while now and found found that you can mix it up with any foundation as well as primer and it doesn’t alter its texture or coverage, you just end up with a product that now delivers a gorgeous glow that can be as subtle or shimmery as you like, depending on how many drops you use. 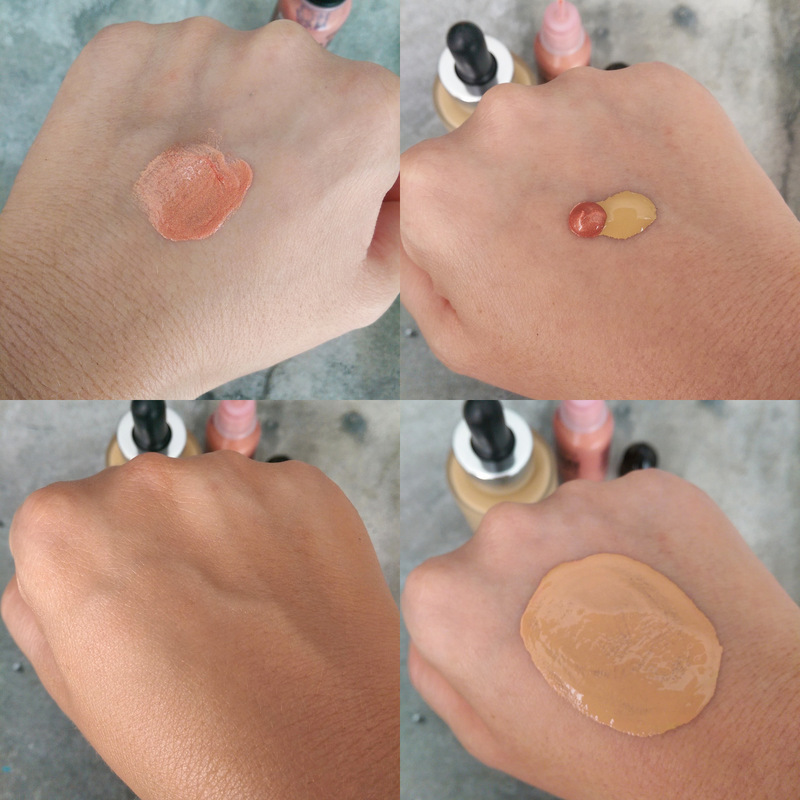 Going clockwise: On it’s own; about to mingle with foundation; all mixed up and blended out. 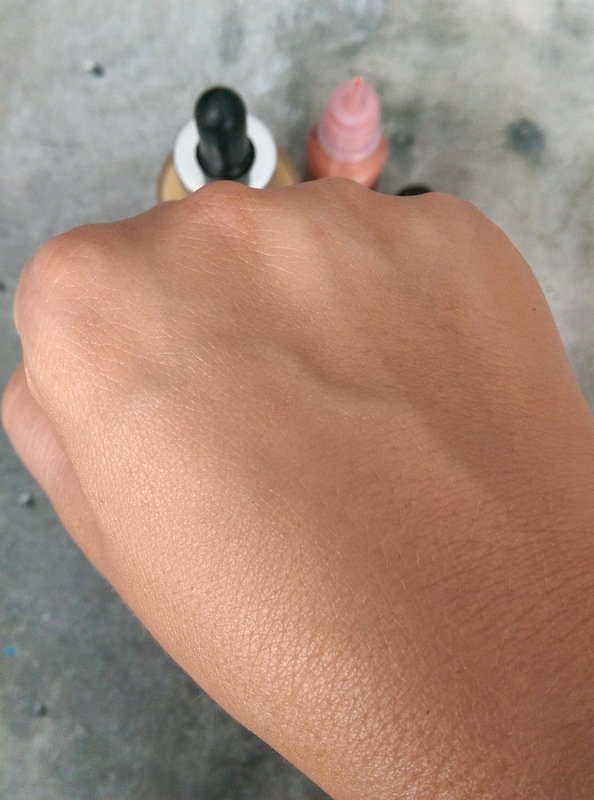 Being on the paler side of the spectrum, the lighter, pearlier Lumi Drops (Vanilla) would’ve suited me best (the shade’s called Vanilla and its comparable to Benefit’s High Beam) but I do rather like the ‘warmth’ Rose Gold imparts. The blended out shot really deserves its own piccie. How mooi is that?! Something else I’m glad to be in possession of? 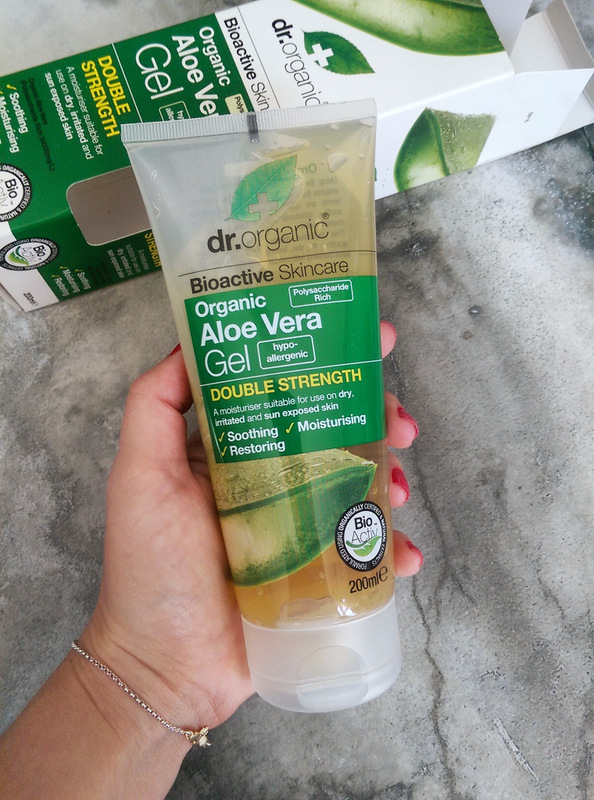 Dr Organic Organic Aloe Vera Gel Double Strength (R258, Wellness Warehouse). I’m generally religious about sunscreen but ended up burning my shoulders the other day when I pulled out what should’ve been ‘just one weed’ from my (almost dead) flower bed and got sucked into a half hour gardening session. And that’s all it took. Thirty minutes to burn! Thirty minutes to being one step closer to looking like those leather-shouldered aunties who stand in front of me in the post office. Women from a time when ‘sunscreen’ was a slick of baby oil. This is made from ‘hand filleted aloe vera’ which sounds very fancy. Anyway, I was glad to have a super sterk aloe product on hand because I do believe its one of the best natural soothers on the block. I was impressed with it’s lovely, ultra-fast absorbing gel texture and the cooling sensation it serves up without a dash of menthol which I hate. As a result, I’ve now started using it on my face and now consider it a great value super soothing/hydrating leave-on face mask for months when I’m too poor to afford this dude. Lastly, Garnier’s Ultimate Blends Delicate Oat line (R29,95 for 200ml and R39,95 for 400ml*) is finally available in South Africa. I was given the shampoo and conditioner ages back and created a review on it but then got told it wasn’t going to make it to South Africa. I’ve forgotten what the issue was but either way it’s finally arrived and you can snap it up in stores like Clicks. *Clicks is currently selling selected Garnier products less 20% and 30%. Annoyingly, Delicate Oat isn’t in their online store just yet. Too lazy to click through to my review? The bottom line is that it’s a lovely pocket-friendly sham and con that’s just hydrating enough to sort out my fine, colour-treated hair without weighing it down. Having used it before, I’d happily buy it again. 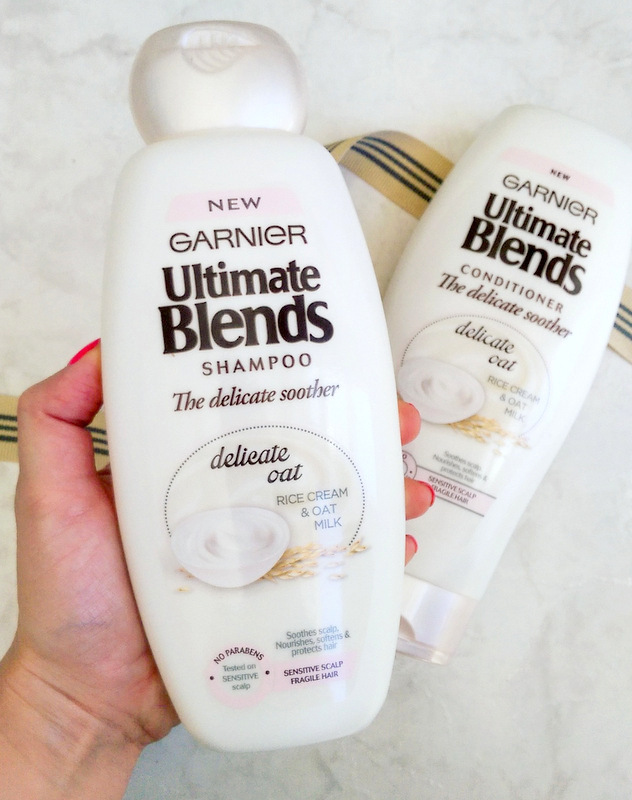 It’s actually my favourite of all Garnier’s Ultimate Blend variants so I’m glad it’s here. Better late than never. I really need to Try those Lumi Drops. I have the CoverFx custom enhancer drops & love it. So have to Get hold of the Lumi Drops😉and compair.